Hearthstone’s next adventure pack goes live across the globe today and it’s bound to be a party you don’t want to miss. One Night in Karazhan will take players back to the magical spire in style with over 45 new cards across 5 separate wings. Dress your deck to impress because all of Azeroth’s important people will be there to tear up the dance floor and deck board! What was once a nexus of arcane energies is reborn as a nexus of groovey movements with the help of master magician Medihv. You’ve got no good excuse not to join the fun as the first wing, The Prologue is free to everyone. Some of the high notes are listed below. 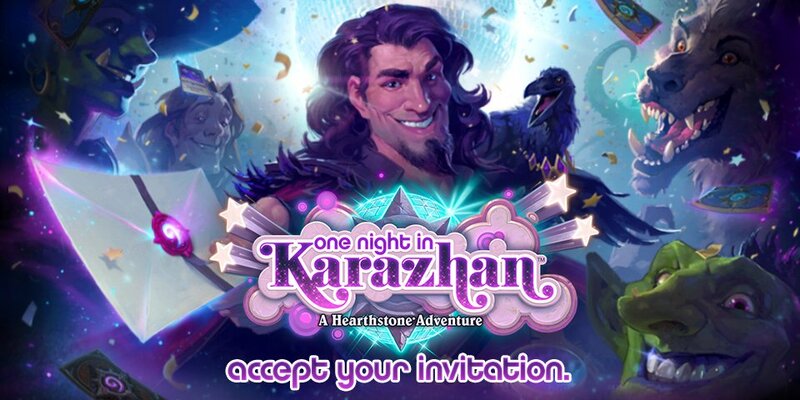 One Night in Karazhan is Hearthstone’s fourth adventure and it’s available now on PC, Mac OS, iOS and Android.